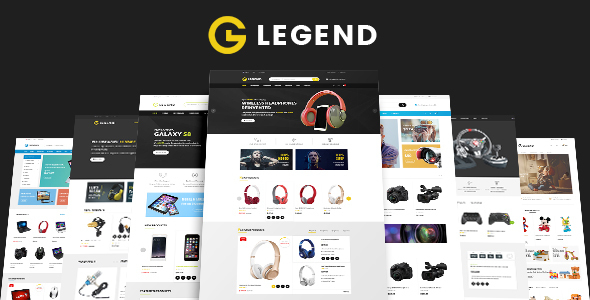 Legend is a powerful Electronics Shopify Theme that was designed in a clean and concise manner, which will be a perfect fit for electronics, digital, mobile, toys and other eCommerce projects. This is a touch-friendly template that will provide smartphone and tablet users with a seamless and intuitive shopping experience. Legend theme comes with a lot of advanced and useful features that would bring incredible success to your e-commerce business. Cart, menu, currency, language, and sign-in options are presented as dropdowns to make sure nothing will divert customers’ attention from the main content. Legend Digital Shopify theme offers a mega menu that allows you to organize the content into logical categories and make it look clean and structured. Banners promote store offers and discounts. Ability to add video sliders, youtube/vimeo/mp4, to the slideshow. A product carousel tends to bring more conversions, so designers applied it to this theme. Moreover, this theme has many other numerous features like grid layout, elegant image slider, rotator images and the appearance of blog posts. Above the footer integrated with social media, instagram, visitors can find a form for subscribing to your mailing list. Enjoy using Legend Responsive Electronics Shopify theme!